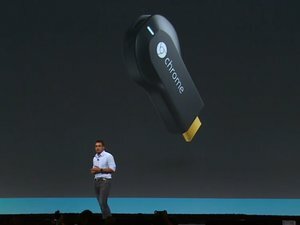 Google has turned on screen mirroring via Chromecast for select Android phones and tablets, providing another alternative for road warriors editing a presentation on the go. 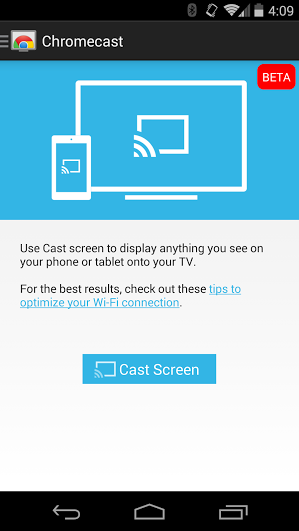 Users who own selected phablets, phones or tablets made by Google, HTC, or Samsung can enable the screen mirroring function, which projects the phone or tablet display onto an HDTV by way of Google's Chromecast streaming stick. 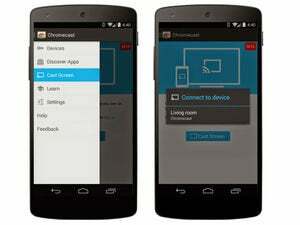 Both the Chromecast and the phone or tablet need to be on the same Wi-Fi network. 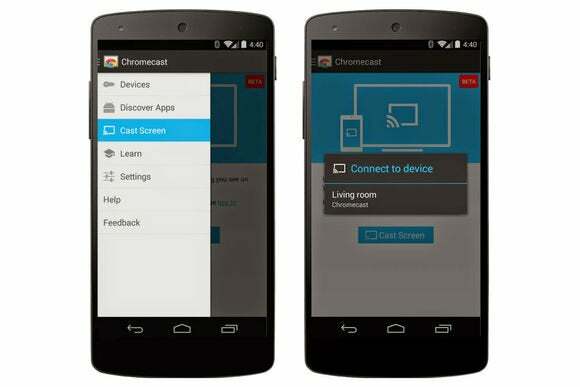 Google's Chromecast is generally considered to be an entertainment device, with the ability to control YouTube, Netflix, or numerous other apps from a phone or tablet. The screen mirroring function suggests that the HDTV display could be used as a productivity tool, as well. Editing or creating documents on mobile phones is still very much a hassle. Peering at a small smartphone screen can be fatiguing over time. If reading is hard, editing is worse, because of the relatively small landing space a smartphone screen offers to position a cursor. (That won't change as a result of the new screen mirroring function.) Flipping a phone back and forth to rotate a PowerPoint slide gets old, too. Plugging a Chromecast into a hotel TV and connecting the two via the in-room Wi-Fi may ease some of these hassles. Mirroring the Android display isn't necessarily a cheap alternative that will allow you to leave your notebook at home. In fact, tips like how to use your Android tablet as a secondary Windows screen may be more useful to business travelers toting a notebook PC across the country. Think of screen mirroring as another item in your bag of tricks, however. It might just help you out in a pinch.